How to make kimchi without a serious amount of heat – perfect for fellow chilli wimps! This recipe is vegan as it does not contain fish sauce or shrimp paste. Snakes alive! 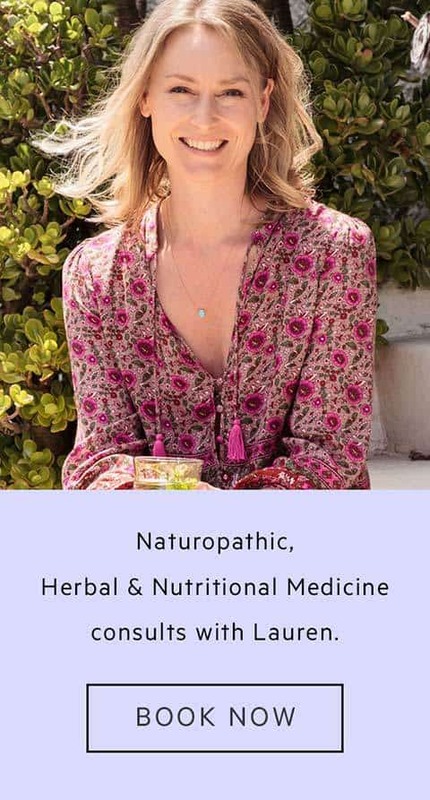 I’ve been navigating my way through the thick jungle of assignments my Natural Medicine studies have thrown us recently, and have just come out the other side (well, almost). So, nice to see you again! Aside from being neck deep in research, my partner and I have become obsessed with gardening lately. Really, really obsessed. You see, having only recently moved back in together after 18 months apart, we finally found ourselves with a small patch to tend to. We’ve been learning from the Masters, AKA, the parents. My parents ripped up their manicured lawn close to ten years ago now, after a cancer diagnosis inspired radical change and a move toward a whole food, organic, plant-centric diet. Since then, it’s grown to celebrity status. In fact, I popped over yesterday to take a few snaps, and the hedge-trimmer man stopped to yell out ‘best garden in Auckland!” I think mum sent him home with a bag of spinach. It’s true though. They seem to specialise in otherworldly, giant-sized organics: spinach, beets, kale, kohlrabi, lettuces galore, and plenty of kitchen herbs. I seriously wonder – do they employ garden fairies at night to sing encouragement to the vegetables, and bathe them with soft tears to supercharge their growth? See ze pics below and you’ll see what I mean. Back to our own little patch. We’ve been fussing in there every weekend the past six weeks or so now. We have plenty of perpetual spinach, rocket, cos, a few herbs and tomatoes. We also bought two little passionfruit plants and named them after ourselves – Lauren and Stipe (I know, lame). We check on our babies in the morning. And again at lunch. And ok then, once more before dinner while we give them a drink. We are such good plant-parents. The next step is an actual baby, obviously. Part of this new-found complete obsession is that it is just so rewarding. 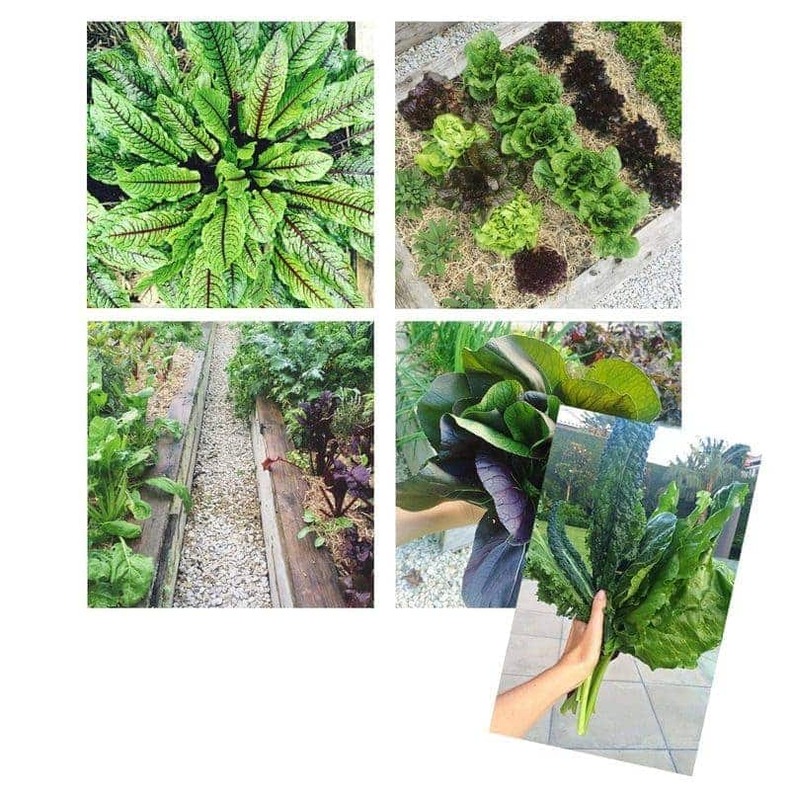 Not only in terms of the produce you grow, but the connection to the earth and the mindfulness involved in just simply tending to the plants and soil. It literally grounds you into the present moment. I highly recommend getting your hands dirty. 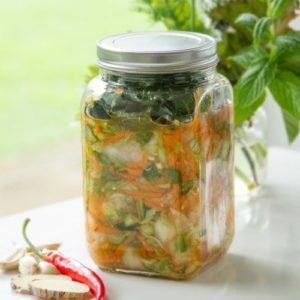 Fermented foods are an easy way to incorporate more friendly pre– and probiotics into your diet, to help improve the ecology of your gut. The gut microbiota regulates the immune system, so it is kinda important to keep the bad guys out and the good guys in . Prebiotics are awesome because once ingested, they provide food for their probiotic friends, enhancing their lifespan and generally going about making your gut a happier place. 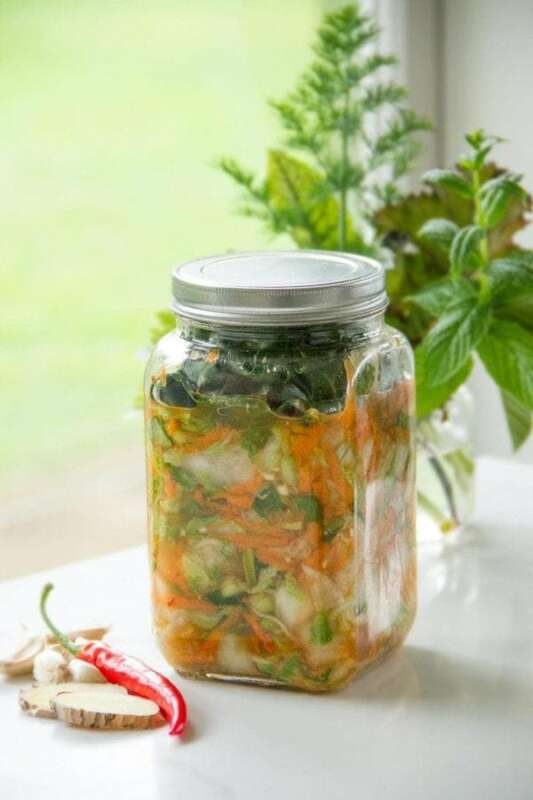 Foods rich in prebiotics include fermented foods such as sauerkraut (and kimchi! ), miso, tempeh, sourdough breads, oats, flaxseeds, some legumes, and vegetables such as artichokes, onions, chicory, asparagus, garlic and leeks. 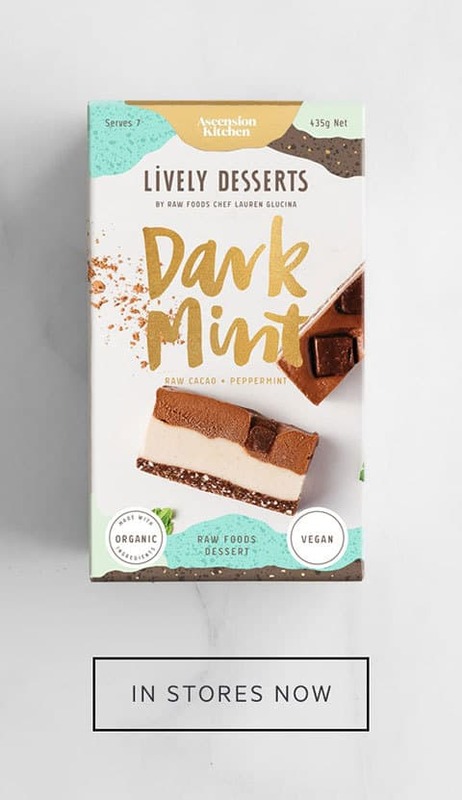 Probiotic rich foods include all our lovely fermented foods – sauerkrauts, kimchi, kefir, kombucha, coconut yoghurts, cultured nut and seed cheeses, miso, tempeh, tamari, and dark chocolate (cacao beans are actually fermented before being processed) . Kimchi is a traditional Korean creation, a spicy and sour ferment typically made from salted vegetables such as Chinese cabbage (Napa cabbage), radish (daikon), cucumber and carrot, infused heavily with seasonings like cayenne pepper, chilli or chilli flakes, garlic, leek, green onion, ginger and fish sauce. It is served as a side with main meals. 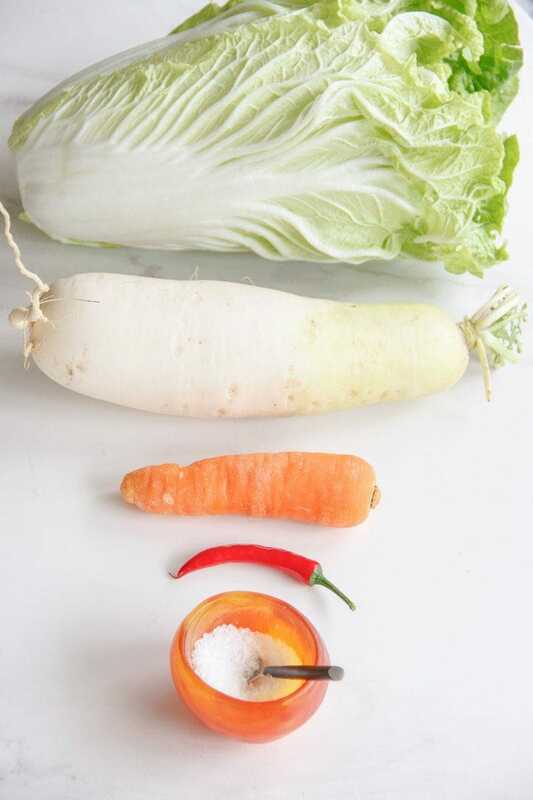 The combination of these salted vegetables and seasonings leads to fermentation due to lactic acid bacteria, the end result, a functional food high in pre– and probiotics, dietary fibre, vitamins, minerals and antioxidants . 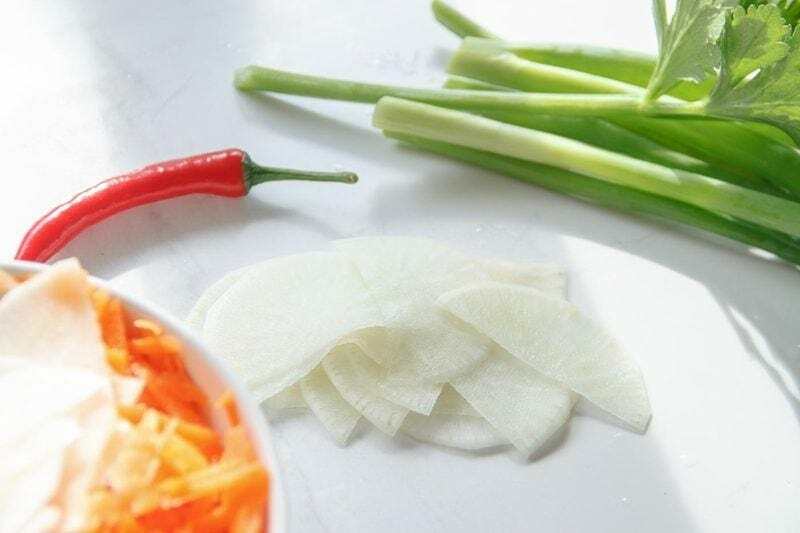 There are many strains of probiotics that have been identified in kimchi, Lactobaccillus plantarum being one of the most prominent . L. plantarum has been shown in a recent clinical trial to reduce symptoms of Irritable Bowel Syndrome . Anyway, no fear, because I have made a wimp’s version of Kimchi, and even if you’re a seasoned chilli lover, you can still enjoy it – just adapt to your likening. But other sensitive-gut souls – rejoice – because here it is! 3. Jung, J.Y., Lee, S.H., & Jeon, C.O. (2014). Kimchi microflora: History, current status, and perspectives for industrial kimchi production. Applied Microbiology and Biotechnology, 98(6), 2385-93. doi: 10.1007/s00253-014-5513-1. Soaking the napa cabbage in a salty brine, to kill off bad bacteria. Combining the cabbage and other vegetables with the marinade, and leaving to ferment. Kimchi for Chilli Wimps is named so because it is a lot easier on the spice than traditional recipes. As a fermented food, it is naturally full of probiotics. Vegan. Cut the cabbage lengthways and then into quarters. Remove the inner stem. Cut each quarter into thick segments. Place the cabbage in a large bowl and massage the sea salt in, it should start to soften and feel a little rubbery. Cover with water, let soak for a few hours, then drain and rinse really well. 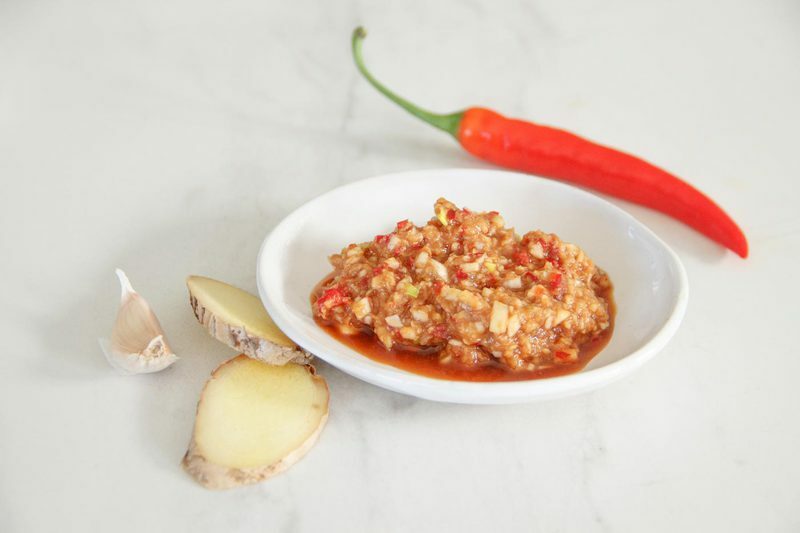 Combine the minced garlic cloves, coconut palm sugar, grated ginger, red chilli flakes and miso in a bowl and mix well to make a paste – you will most likely need to add a few tablespoons of water here. In a large bowl, combine the cabbage with the other vegetables (spring onions, carrot, daikon, celery) then massage the paste in to coat everything. Pack the mixture into a sterilised glass jar, leaving one inch of space at the top (it may expand as it ferments). Make sure you pack it down tight, so that the salty brine oozes over the top of the vegetables. To finish it off, take a large cabbage leaf (I actually used a giant size kohlrabi leaf from the garden) and roll it up, then stuff into the mouth of the jar before screwing on the lid. Let sit at room temperature for at least three days. I left mine to it for a good three or four weeks. You can open up for a taste test as the days or weeks go by till you reach your preferred taste. Store in the fridge, which will slow fermentation. If there is any mould on the top when you open it up, just scrape it off and discard.